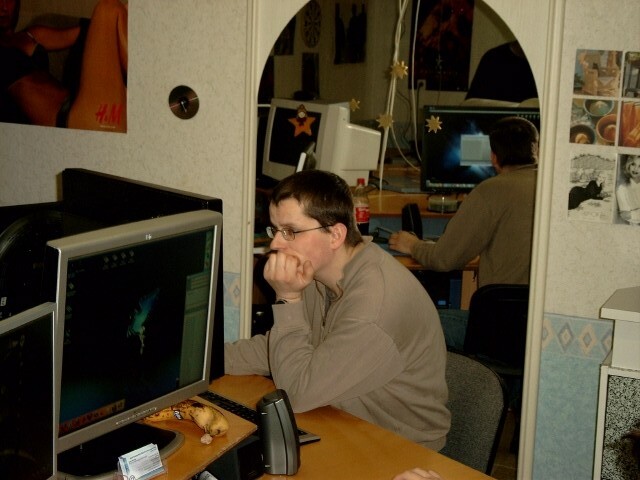 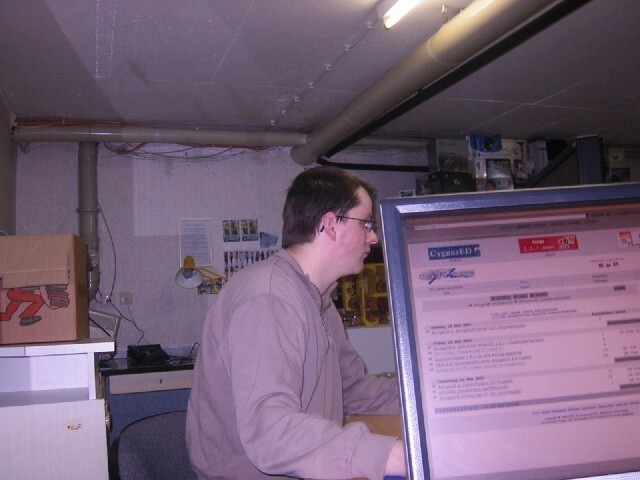 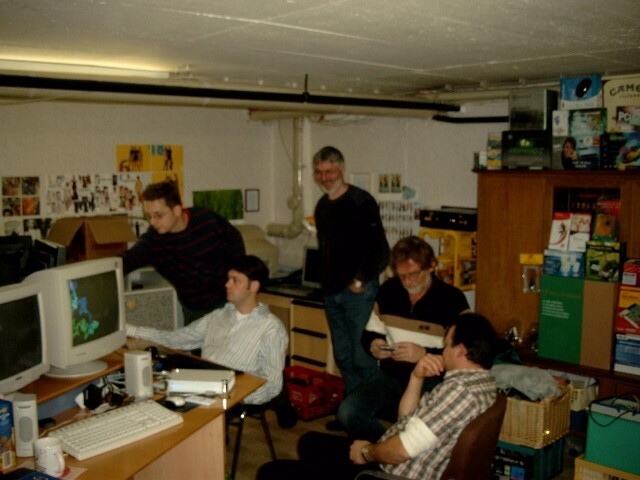 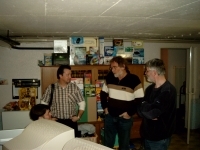 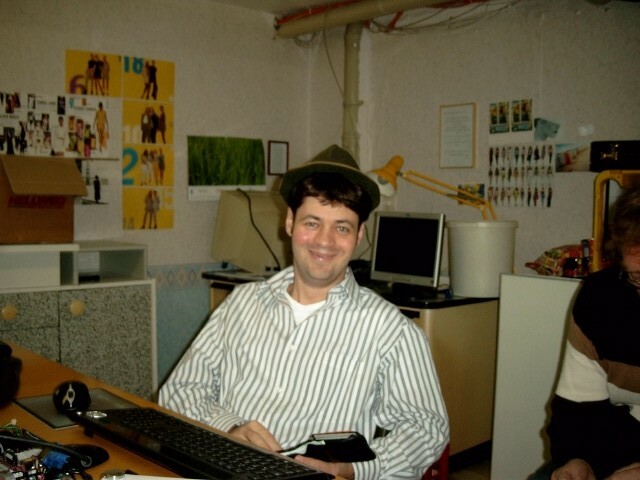 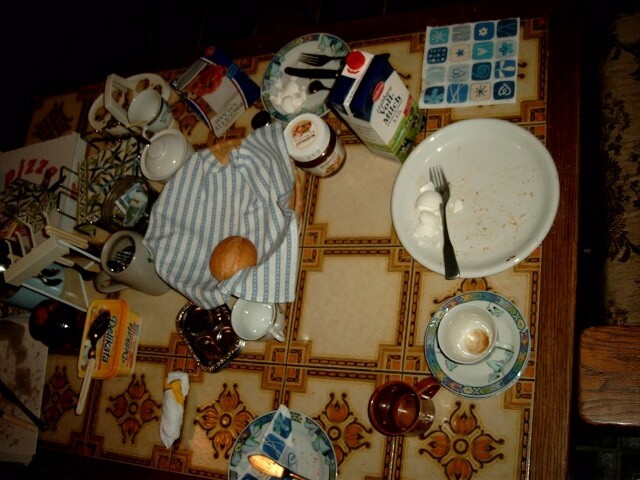 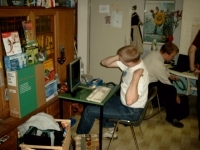 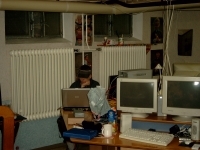 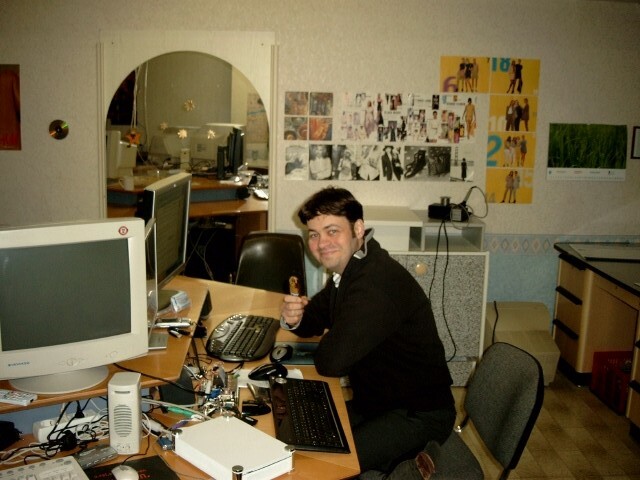 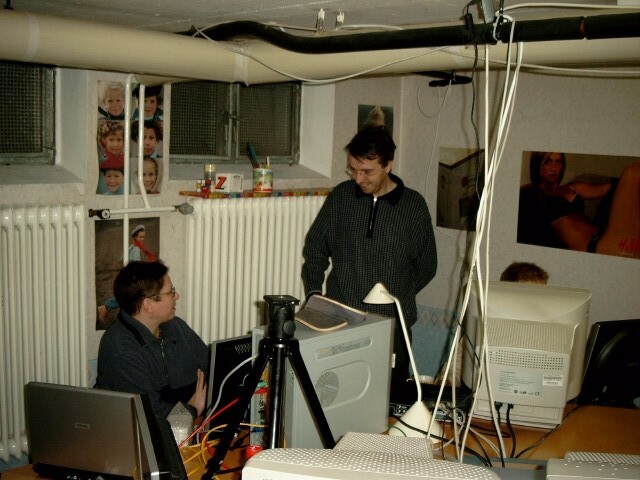 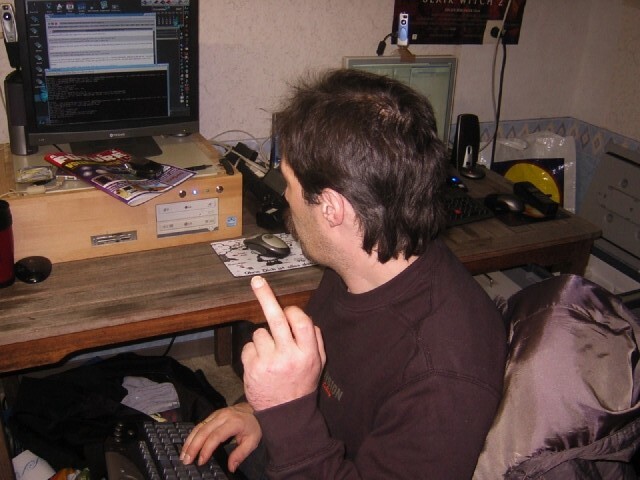 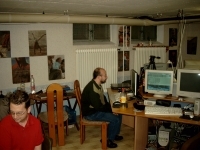 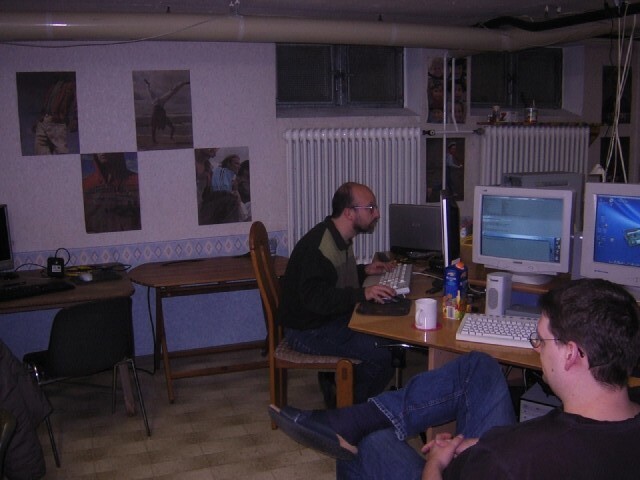 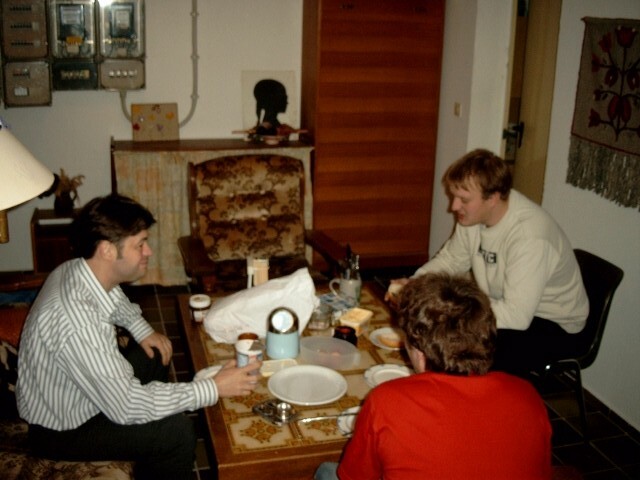 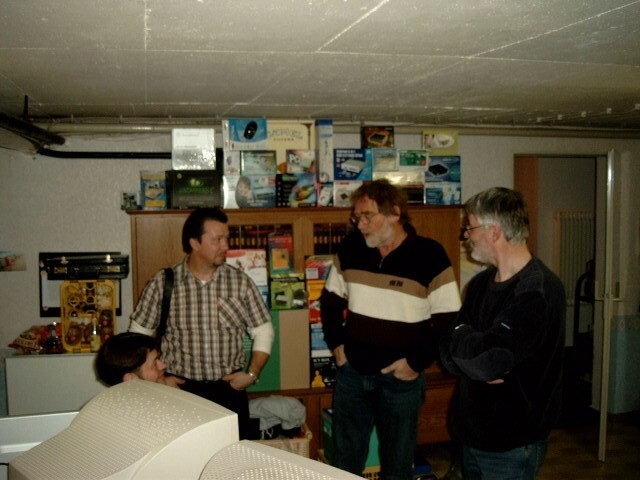 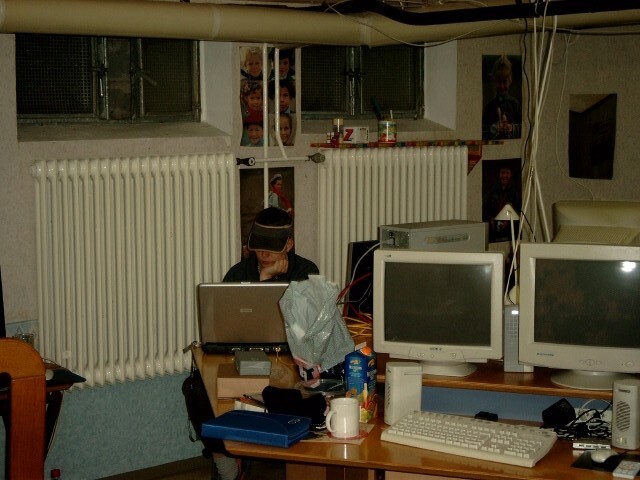 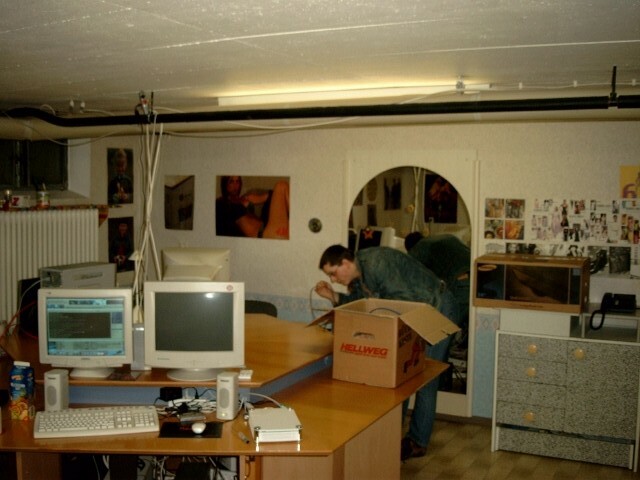 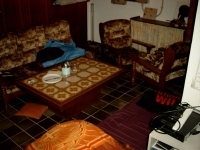 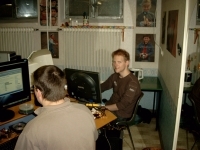 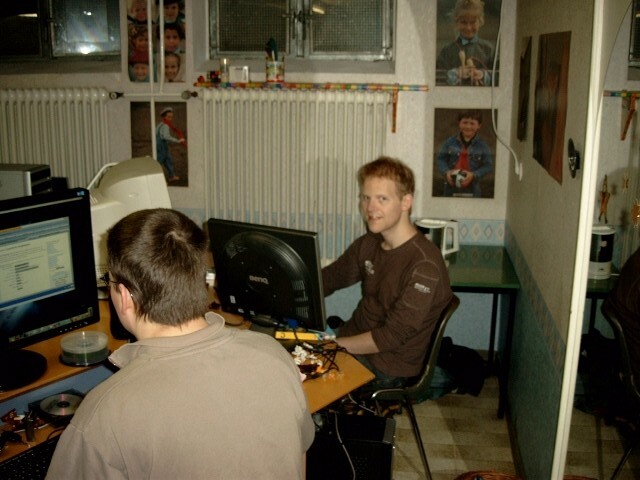 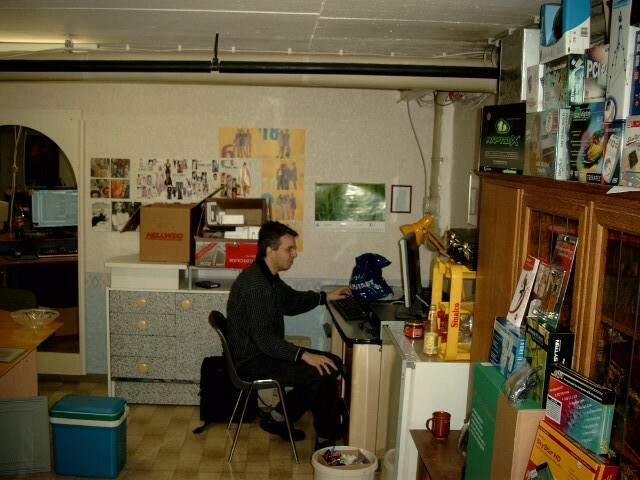 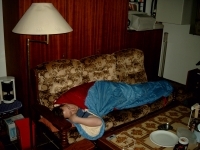 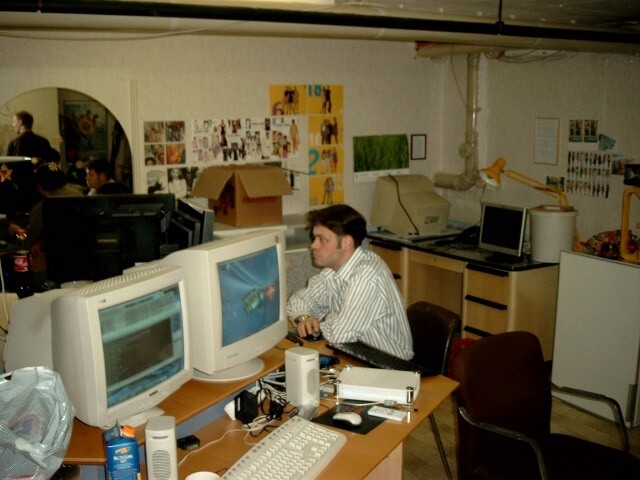 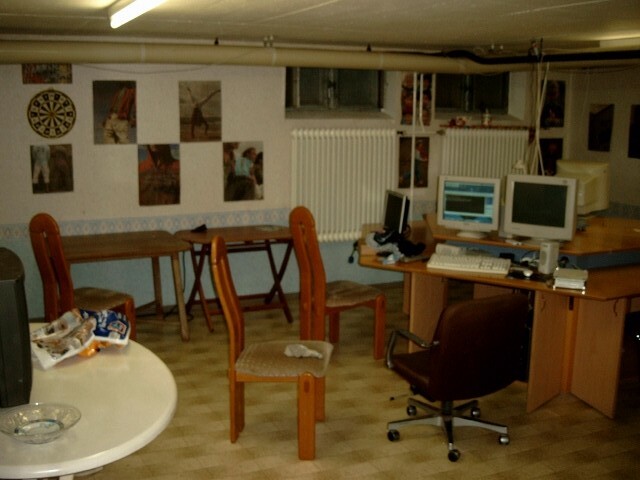 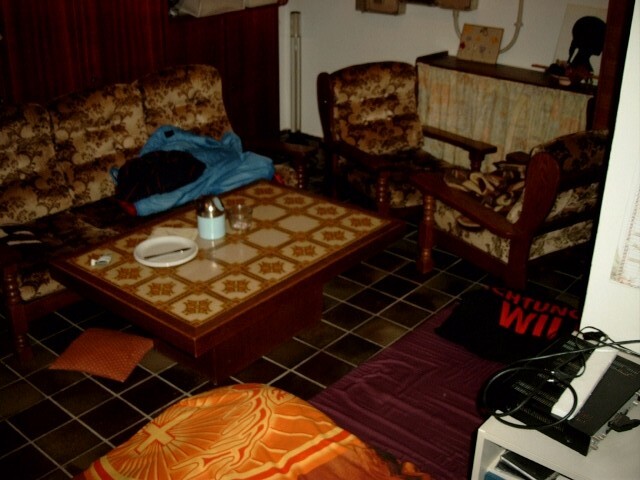 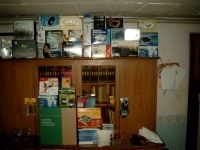 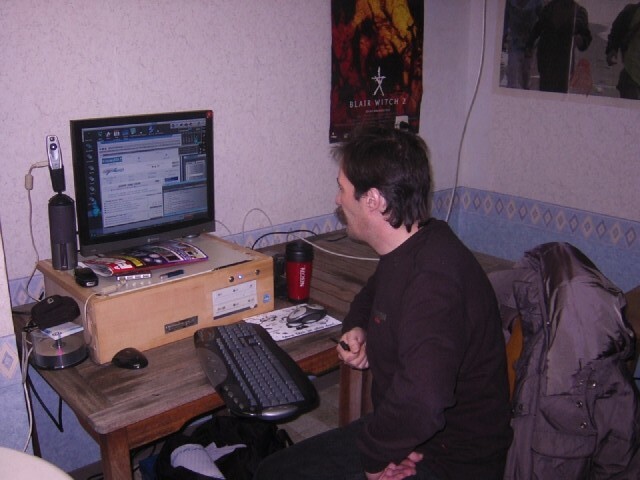 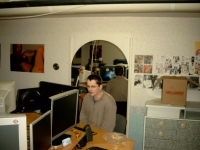 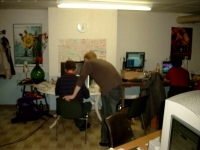 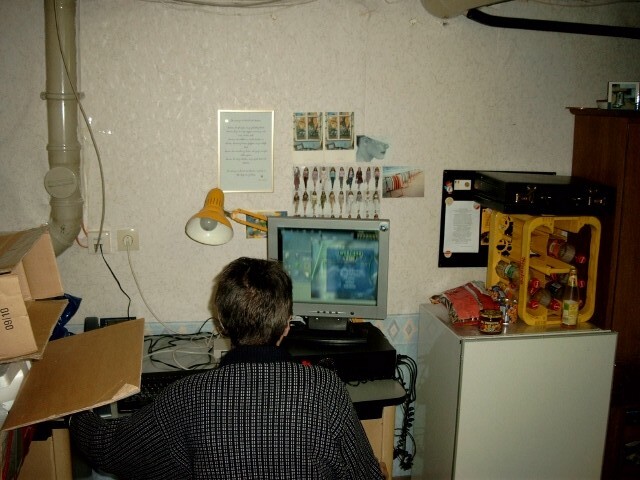 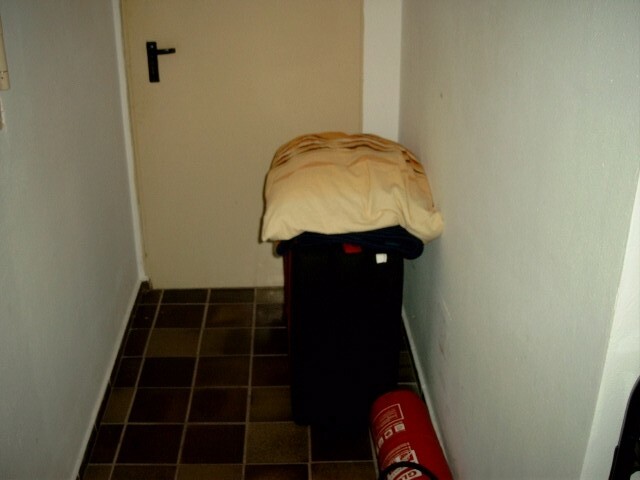 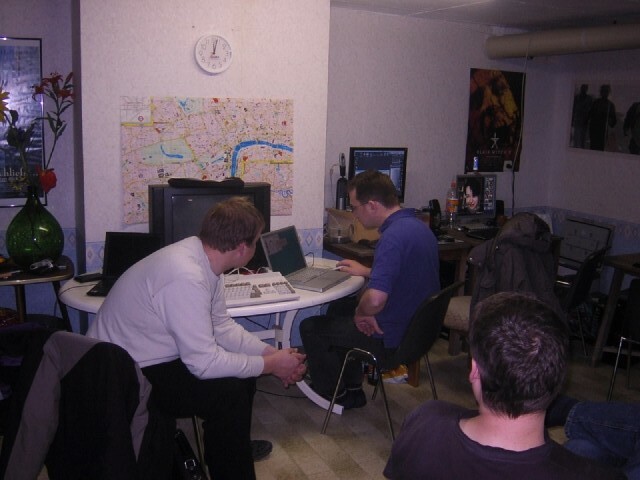 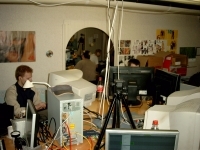 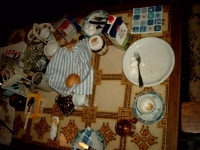 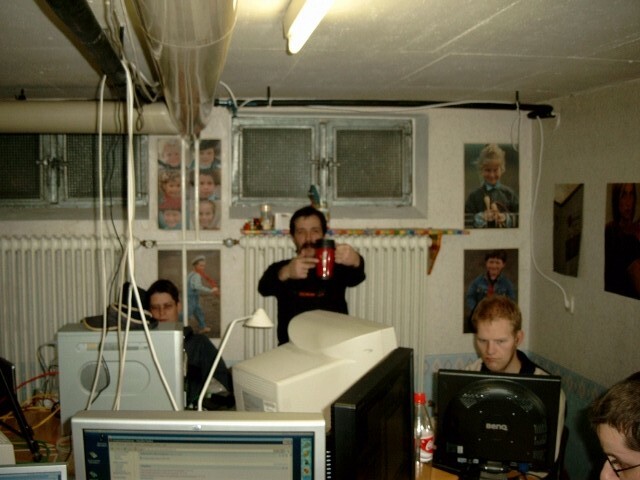 Yes, this is the last Amclust and Amiga Club Osnabrück meeting in 2007! 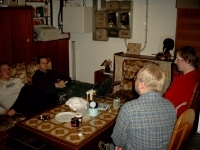 We had many visitors and the list of people staying all three days was once again longer than ever. 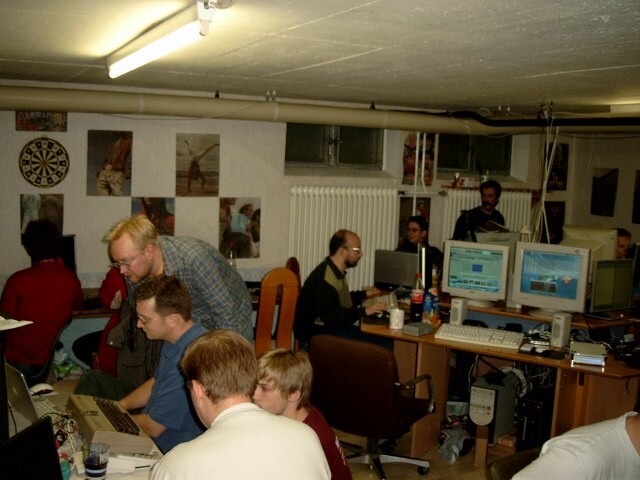 We had around 10 Pegasos and several (!!) 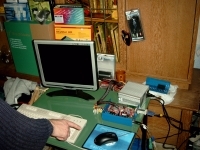 MOS Efikas, C64 and A1200. 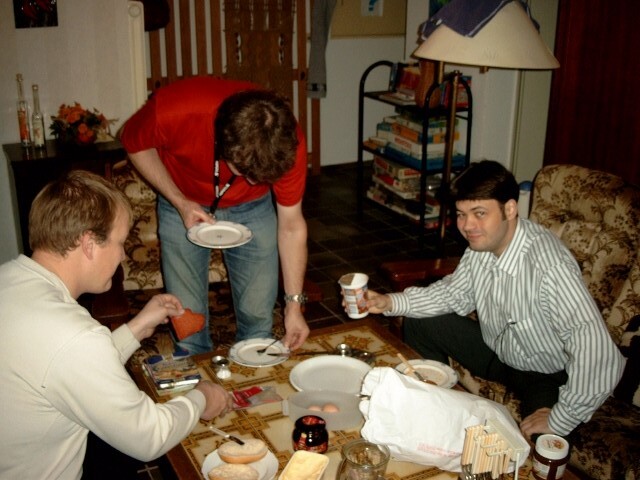 AnalogKid: "Hmmmm, that's tasty! 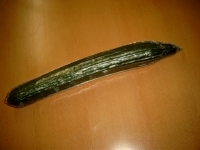 .......... What is it?" 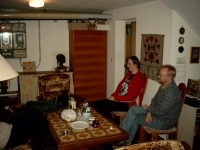 Click on the following images for high resolution pictures. In the sign of the cucumber! 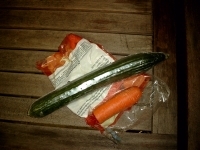 Looks like someone slopped here. 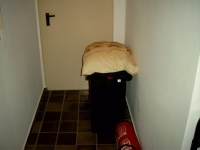 Roschmyr cleaned his sleeping place. 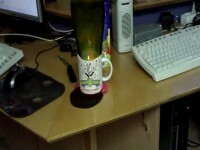 Pegasos-Sigi arrived and started blending. Classic hardware is like a magnet. Forgotten Power supply, but Axel helped. 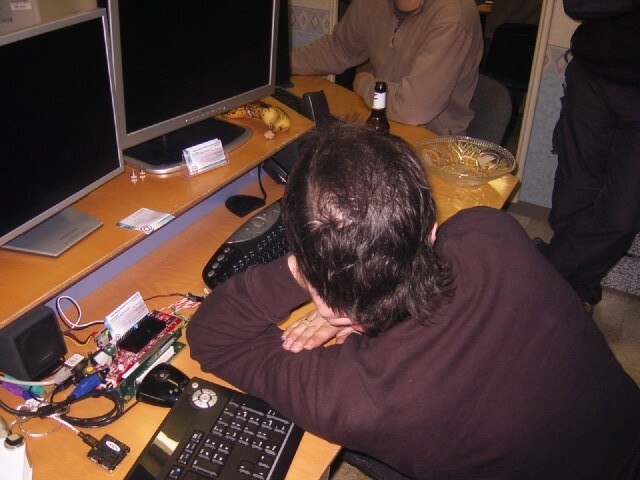 mmh, cable salad with hardware. 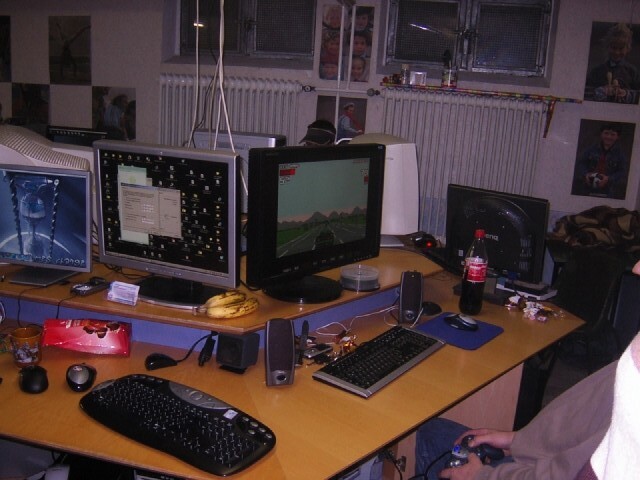 AmigaHarry had a long Journey. 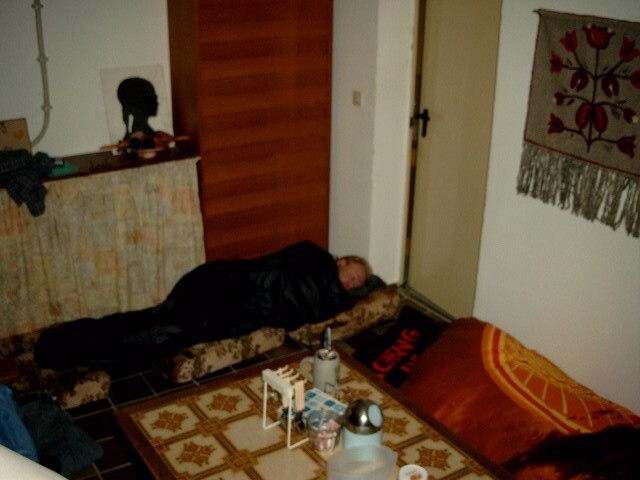 Behind the door Kronos is sleeping. Somehow did didn't look fresh. 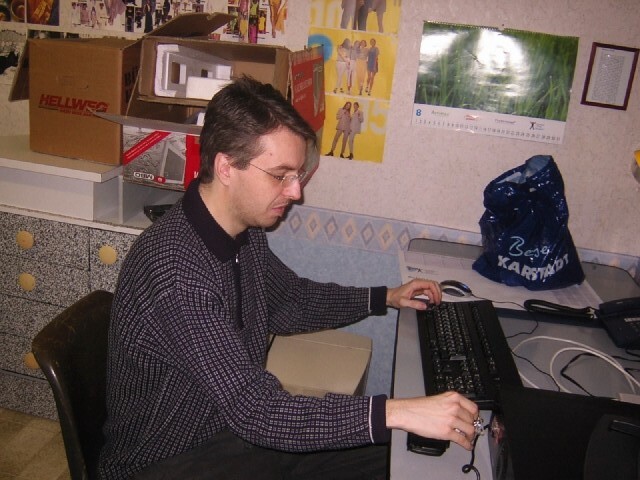 My last picture when being alone again. DasMCP, Kronos, Fanne and Axel. 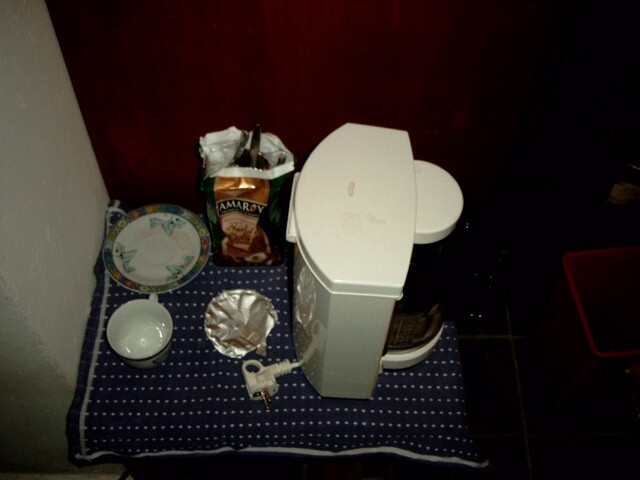 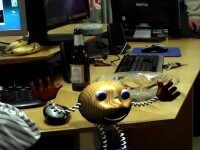 Axels and Kronos' work space. Besenbinder wants to play games. 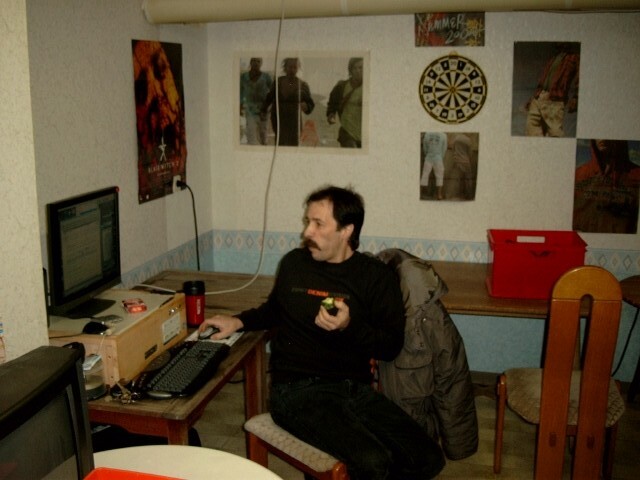 The cub isn't rendered as it should. 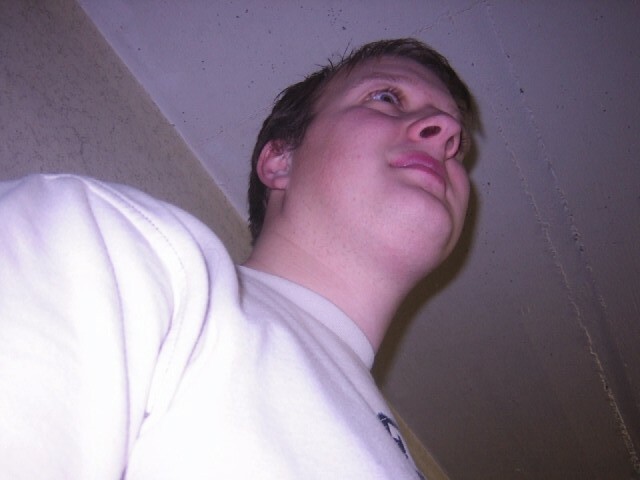 Analogkid on his knees taking a photo.